Sixteen paddlers ventured out on Saturday, January 17 to check out the whales. 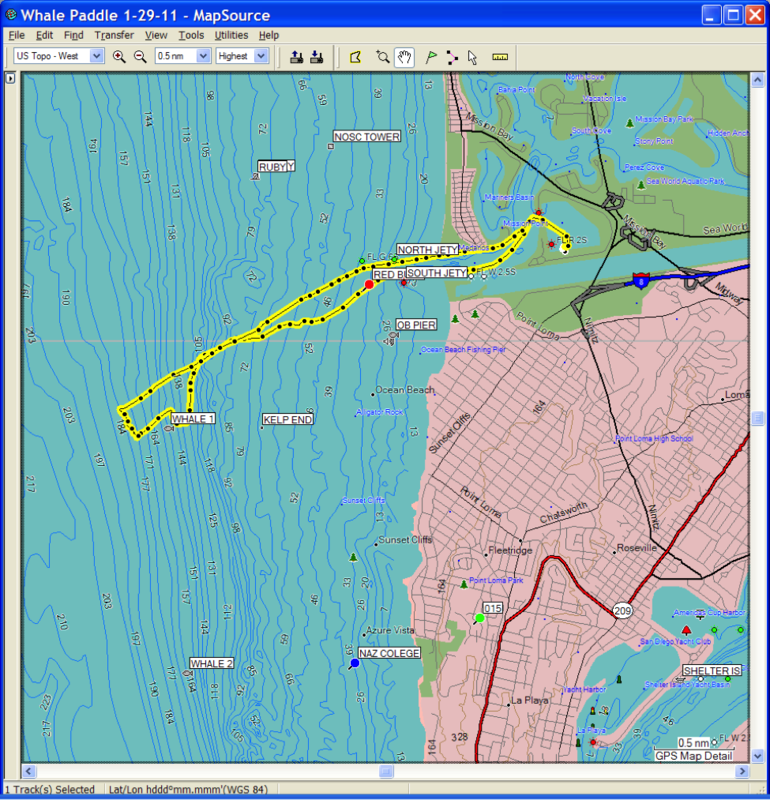 We had the good fortune of seeing two whales, one of which surfaced within 100 yards of us while we were just southwest of the “Whale 1” waypoint on the 177 ft depth bathymetry line. 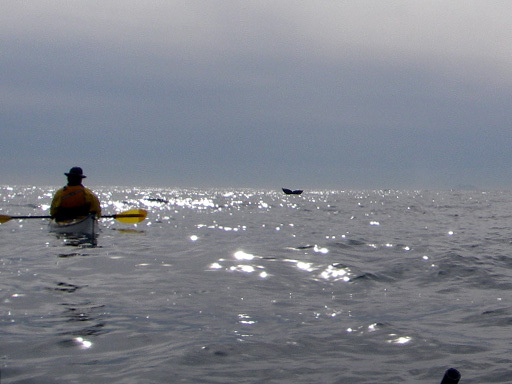 That whale then went right under us, and surfaced again just to the south, where we heard the spout. 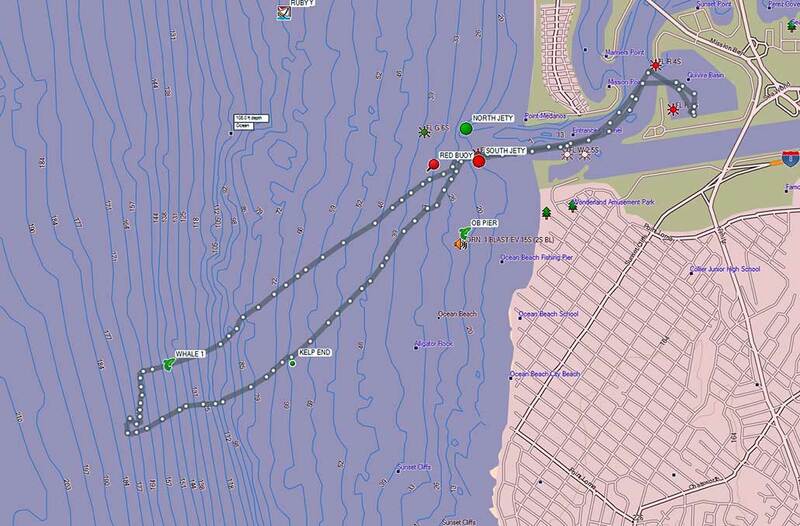 The Whale 1 waypoint is: N32 44.445 W117 17.390. 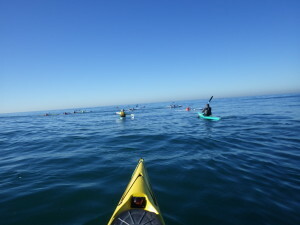 The second whale was spotted on the way in, and was inside the kelp, which is a somewhat rare place to see them. 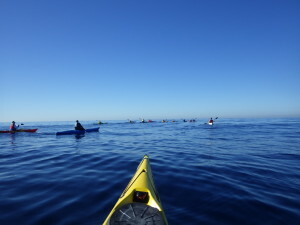 Several people had cameras, but no one was able to catch the whale fluke or back. But for those who were there, it is an image we will remember for years to come. Being that close to something so large in the water is an awesome experience. (Note: click on a photo to enlarge it). 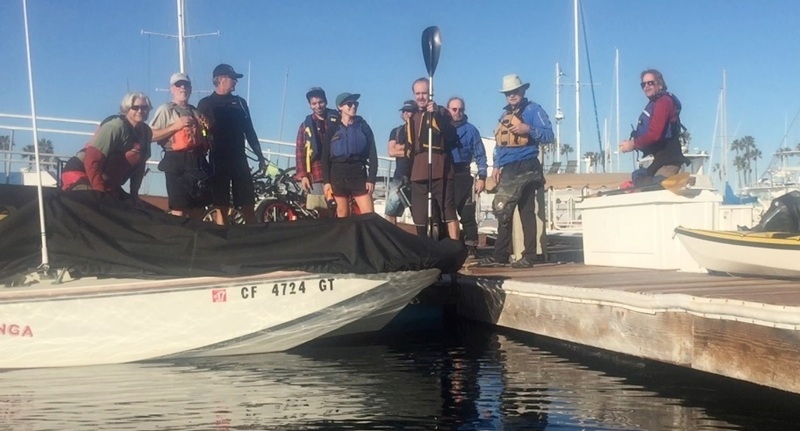 The paddle lasted about 3 hours, and covered 7.47 nautical miles with an average speed of 2.3 knots. 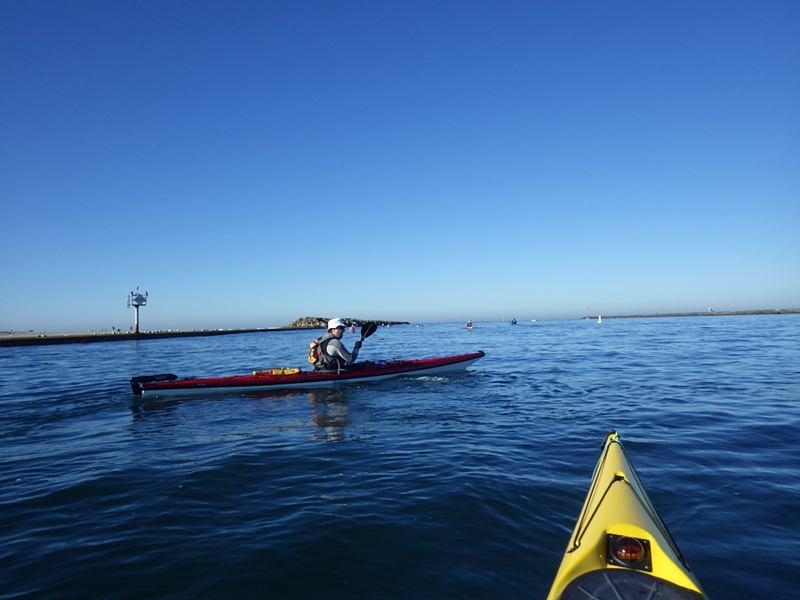 Tiffini joined us from Ensenada, and paddled a SOT. 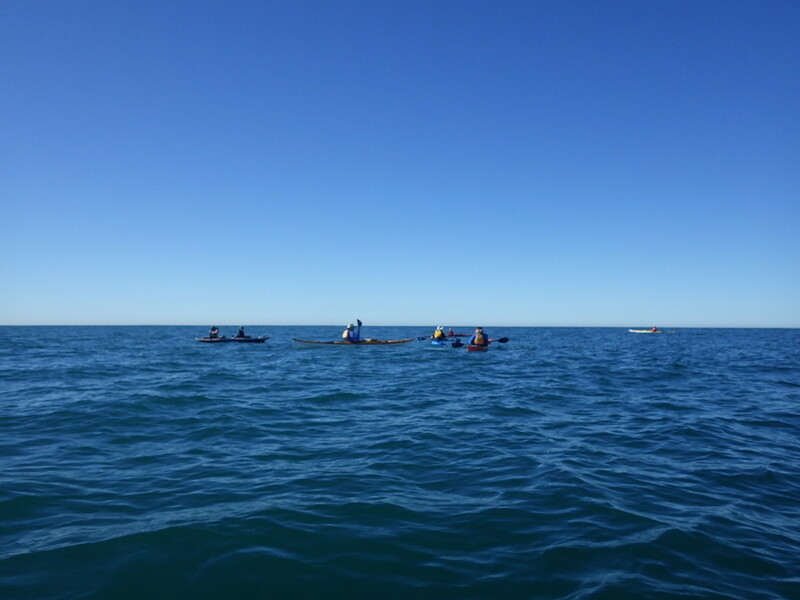 Our moving speed and calm water allowed for everyone to make this paddle in a comfortable manner, so next year we will include slower boats. Several people rented a boat, and this is a great way for more paddlers to see the whales. If you want to see the whales, and do not want to surf launch, going out of the Aqua Adventures location to the Whale 1 waypoint has now proven to be the best and shortest paddle to see them in the San Diego area. 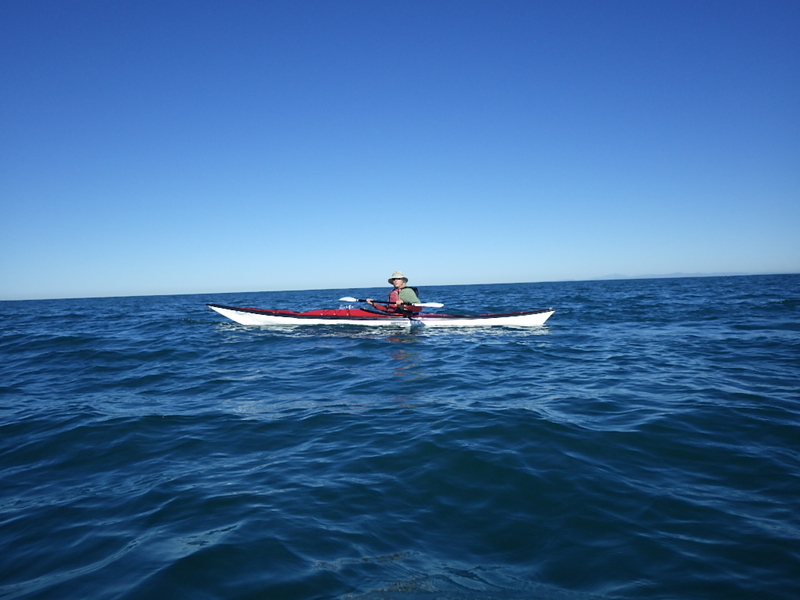 We have now done this paddle 4 times, and have seen whales on two of them. That is pretty good odds. 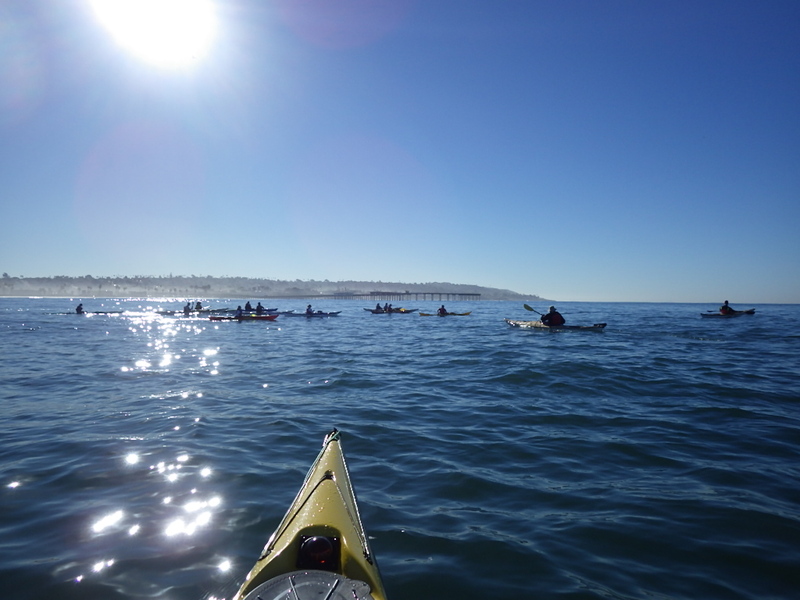 The key is to stay on that location (we paddled just past the waypoint, then drifted south on the current), while looking north where the land ends off La Jolla. 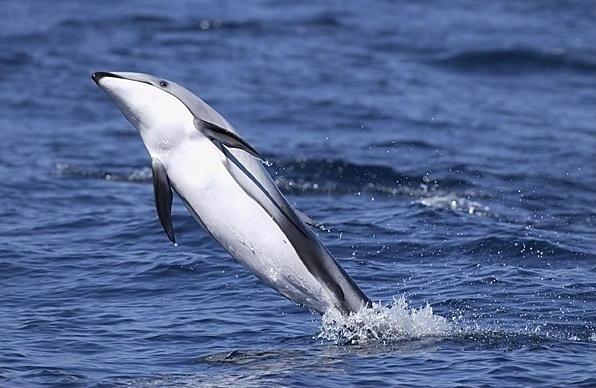 In this case, we saw two whale watching boats slowly approach us, and suspected they were following whales, which they were. Otherwise you need to quietly listen and look for the spouts. It was a beautiful morning, and a good paddle. Come join us next year. 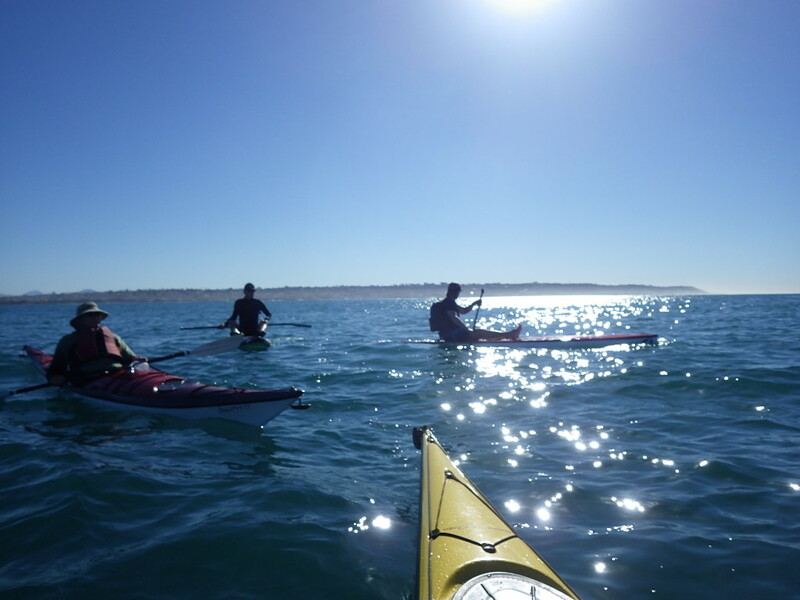 This entry was posted in Paddle, Whale Watching on January 19, 2015 by Jay Murdock. 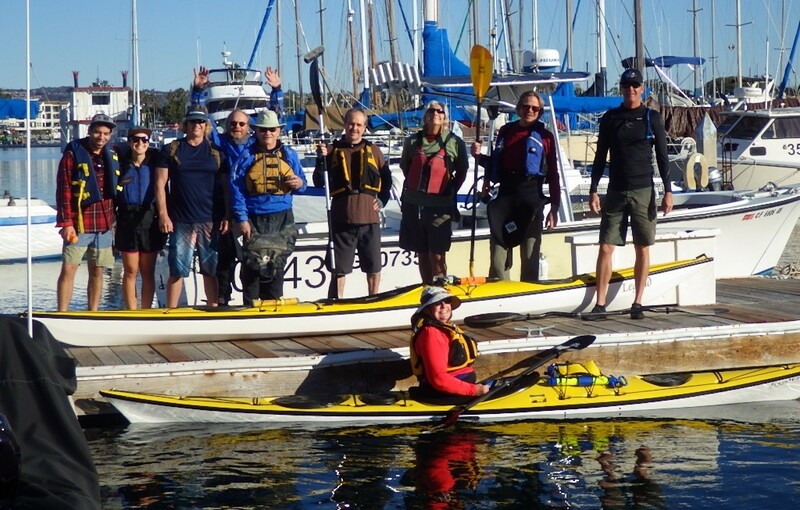 This entry was posted in Paddle, Whale Watching on December 16, 2014 by Jay Murdock.